Custom trays are available upon request. Trays may be delivered hot and ready to serve, or may be heated on-site. All trays are oven safe and disposable. Warming sets available at an additional charge. Prices are subject to change. Delivery charges may apply. The perfect meal begins with the freshest ingredients prepared with a genuine love for good food. 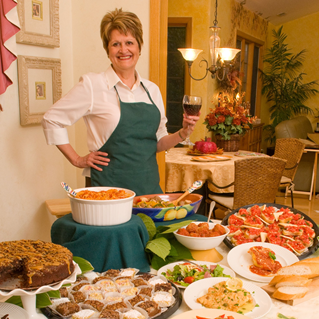 From a formal occasion to a casual gathering of family and friends, I look forward to contributing my authentic style of quality home cooking to your next social or business event. Together we can plan a menu that meets your needs and budget. Patty’s specialty is Southern Italian cooking passed down from generations dating back to her heritage in Calabria, Italy. From homemade stuffed breads and pasta, to flavorful sauces, Patty invites you and your guests to a genuine taste of Italy. Due to popular demand, Patty’s pasta sauce is now available for purchase. It’s the perfect gift idea! Choose from Marinara, Meat Sauce, or Vodka Cream Sauce. A genuine taste of home! Now available by the quart, starting at $8.50 each. 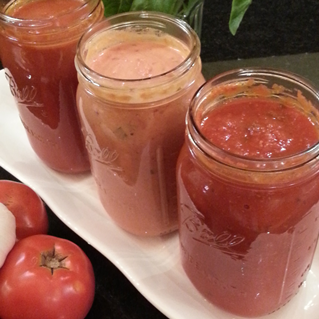 Enjoy the taste of home made sauce without spending time in the kitchen. Entrees may be packaged as single servings or dinner for two. Imagine that! Home cooked meals made just for you! Stock up for those busy days ahead, or give a thoughtful gift to the new mom, or a friend in need of some delicious TLC. 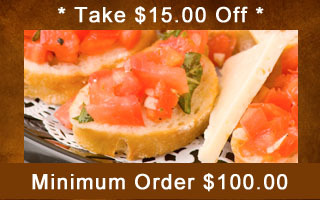 A Chicago catering service company. 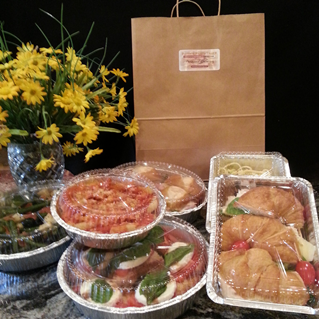 We specialize in Homemade Southern Italian cuisine. 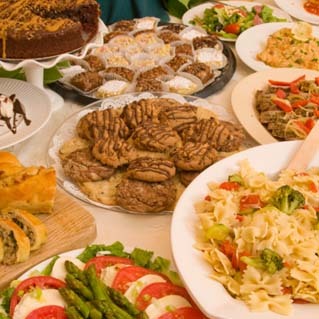 Let us do all of the cooking while you enjoy your guests.